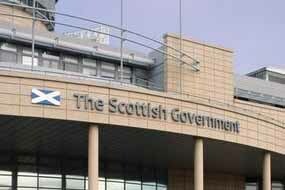 The Scottish Government has extended its marketing services framework agreement by six months while it carries out a tender for suppliers, including events agencies. The current marketing services framework agreement was due to end on 30 September 2012, after running since 1 January 2009. However, the Scottish Procurement and Commercial Directorate has extended the contract by six months, to allow time for the current tender process. Scottish Procurement Directorate’s Alastair Dougall told C&IT that the current tender process could include live pitches for the first time. He added that as the framework is used by all Scottish public bodies, it has "the potential" to be extensive, although noted "there is no guarantee of any business" for successful suppliers. The marketing services framework covers seven lots: events management; marketing communications; public relations; digital; research; design; and direct marketing.